Please complete the form and we will be in touch. Thank you for your support! All donations to SRI qualify for 100% exemption with no limit to the amount you can donate and deduct, we will issue a receipt as per section 35(1)(iii) of the Income Tax Act. This makes donations to SRI effectively without cost to the donor up to the amount of their taxable income. 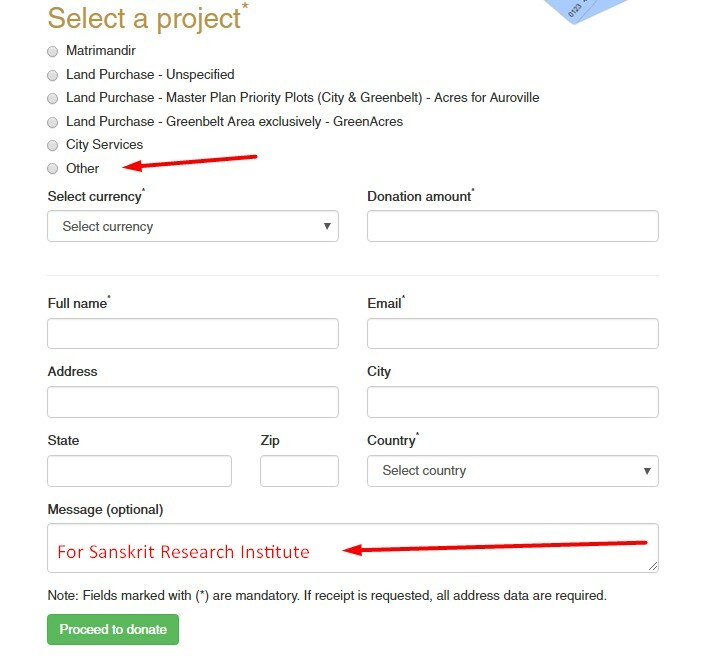 If you do an online deposit kindly ensure to specify Sanskrit Research Institute in your donation reference. Please let us know that you have donated by sending an email to sri@auroville.org so that we may track and confirm your donation. In the respective section of the donation form please mention Sanskrit Research Institute. In the USA the Sanskrit Research Institute has a 501(c)(3) status through Auroville International USA. To donate through Auroville International USA kindly click here. Please make sure to specify Sanskrit Research Institute in the donation form. 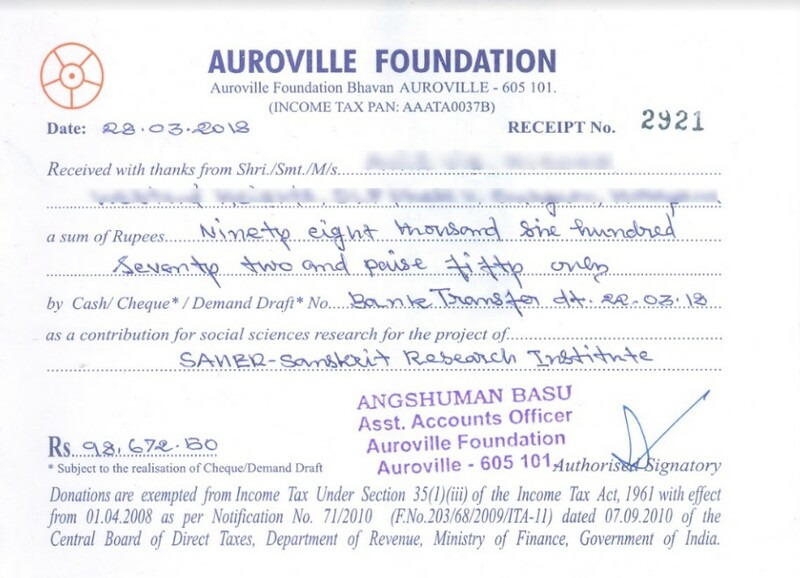 Please let us know that you have donated by sending an email to sri@auroville.org so that we may track and confirm your donation once done. 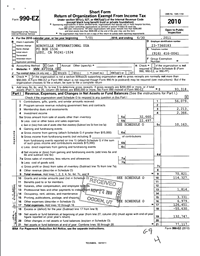 Please make checks payable to Auroville International USA (or AVIUSA). 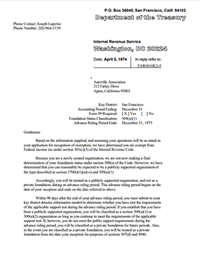 View our tax exempt status and form 990. In the UK, Auroville International UK is a registered charity and donations are Gift Aided. To donate through Auroville International UK kindly click here. On the donation form kindly mention “Sanskrit Research Institute” as the beneficiary project. Please let us know that you have donated by sending an email to sri@auroville.org so that we may track and confirm your donation. Thank you very much for your contribution! In Canada, for tax exemption, please contact Auroville International Canada. To contact them click here. Please make sure to specify Sanskrit Research Institute in your donation. Please let us know that you have donated by sending an email to sri@auroville.org so that we may track and confirm your donation. In France, for tax exemption, please contact Auroville France. To contact them click here. Please make sure to specify Sanskrit Research Institute in your donation. Please let us know that you have donated by sending an email to sri@auroville.org so that we may track and confirm your donation. In Germany, for tax exemption, please contact Auroville International Deutschland. To contact them click here. Please make sure to specify Sanskrit Research Institute in your donation. Please let us know that you have donated by sending an email to sri@auroville.org so that we may track and confirm your donation.